Team and individual sports are readily accessible in private and public schools as well as at community centers and through outdoor groups. Participation in a sport is an important part of your child’s life, provided that is what your teen wants to do. However, it can also lead to situations that are filled with the possibility of a sports injury unless you and your teen have taken steps to minimize those risks. Here’s a look at what you can do to reduce the likelihood that your teen might experience a few bumps, scrapes, or pulled muscles. Prior to each sporting event, your teenager should spend at least 15 minutes warming up. This strategy helps to get the muscles ready for movement, making it less likely that your teen will experience unnecessary damage. Each warm-up session should begin gradually with slow, methodical stretching movements. 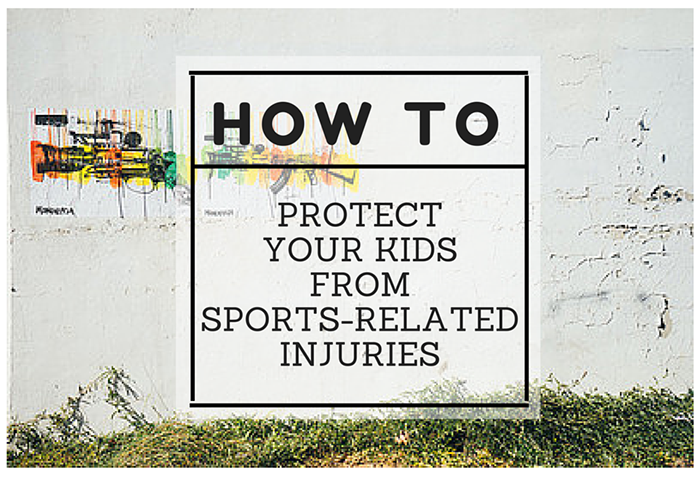 Parents should insist that their children wear protective gear that is designed specifically for that sport. This can include everything from helmets to knee pads to gloves to eye protection to chest protectors. In order to help provide mobility as well as safety while playing, properly fitted footwear should always be worn. In addition to being fitted for size, the footwear should be designed specifically for the sport that is being played. A teenager who is physically fit is less likely to become injured due to simply being out of shape. Likewise, being knowledgeable and experienced in how the sport is played is an asset not only for your child’s athletic performance, but also for his physical health. Physical health isn’t the only issue at hand when teenagers are playing sports. It’s also important to teach your child the art of good sportsmanship and to ensure that your teen practices it. This might be difficult given that today’s parents sometimes instigate problems when they believe their child is being mistreated. Avoid the temptation to get in on the argument and set a good example for your son or daughter. If your child experiences an injury either during practice or during the sporting event, make sure that you seek help immediately. Don’t allow your teen to continue playing, no matter how insistent your teen or the coach are. Playing while injured can make the situation worse, which can lead to a more extensive time frame for the healing process to occur. Review the conduct and safety guidelines provided by your child’s coach with your teenager. It’s important that the two of you are on the same page and fully cognizant of what is expected not only of your teen but also of you. If you notice that your child is suddenly showing signs of bruising or acting oddly, speck to your teen and find out what is going on during practice sessions or games. It could just be normal horseplay, but it is important to ensure that everything is as it should be.